Lamar Advertising Company, Baton Rouge, has partnered with Monster Media Canada to light up the public transit system of Canada with a Monster Wall: believed to be the first interactive large LCD screen in a Canadian public transit system. Located in one of Canada Line’s highest traffic stations – Vancouver City Station – at the corner of Granville and West Georgia, the Monster Wall sits in the heart of downtown Vancouver’s busiest business, retail and entertainment districts. Canada Line’s Vancouver City Station experiences an average of over 750,000 passenger boarding monthly. 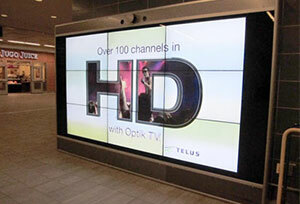 TELUS telecommunications company is the first advertiser to launch a campaign on the Monster Wall screen. Lamar Advertising plans to roll out more interactive Monster Wall units in other high traffic locations inside Vancouver’s rapid rail transit systems over the next 12 to 18 months. Monster Media is responsible for over 1,000 interactive program activations globally. The original article appeared on DailyDOOH.com. 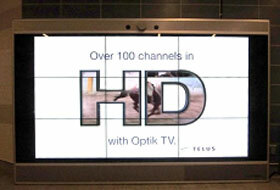 Vancouver City subway passengers will now be greeted with a bright, interactive wakeup call on their commute to work. Lamar Advertising Company (Nasdaq: LAMR), a leading owner and operator of outdoor advertising and logo sign displays, announces the Company’s operating results for the third quarter ended September 30, 2011.